Nordic Entertainment Group AB (NENT Group) has today published a prospectus regarding the admission to trading of its class A and class B shares on Nasdaq Stockholm. The MTG Board of Directors has set the record date for the distribution of the NENT Group shares as 26 March 2019, with the first day of trading in the shares expected to be 28 March 2019. The shares will trade under the symbols NENT A and NENT B, with the ISIN codes SE0012324226 and SE0012116390, respectively. MTG shareholders who are registered as shareholders on the record date for the distribution are entitled to receive one NENT Group class A or class B for each share of the same class held in MTG. The prospectus has today been approved and registered by the Swedish Financial Supervisory Authority (Sw. Finansinspektionen) and is available on NENT Group’s website and MTG’s website. The Nasdaq Stockholm Listing Committee has resolved to admit NENT Group’s class A and class B shares to trading, subject to the fulfillment of certain customary conditions including the distribution requirement (Sw. spridningskrav) for the shares. NENT Group has also published a financial and operational KPI fact sheet on its website. The publication of the prospectus follows the resolution by the Extraordinary General Meeting of MTG’s shareholders on 7 February 2019 on the distribution of all of the shares in NENT Group, which comprises MTG’s Nordic Entertainment and Studios business segments. Nordic Entertainment Group (NENT Group) is the Nordic region’s leading entertainment provider. We entertain millions of people every day with our streaming services, TV channels and radio stations, and our production companies create content that is experienced around the world. We make life more entertaining by telling stories, touching lives and expanding worlds – from live sports, movies and series to music and original shows. Headquartered in Stockholm, NENT Group is part of Modern Times Group MTG AB (publ. ), a leading international digital entertainment group listed on Nasdaq Stockholm (‘MTGA’ and ‘MTGB’). 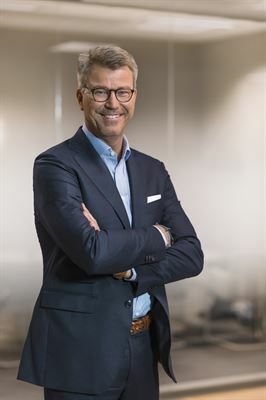 NENT Group is expected to be listed separately on Nasdaq Stockholm on 28 March 2019 under the symbols ‘NENT A’ and ‘NENT B’. This information is information that NENT Group (Nordic Entertainment Group AB (publ.)) is obliged to make public pursuant to the Swedish Financial Instruments Trading Act. The information was submitted for publication, through the agency of the contact person set out below, at 14:00 CET on 8 March 2019.